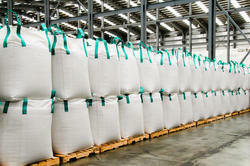 We are a leading Manufacturer of container bag and container liner bag from Nagpur, India. • Low cost of packing material - 90% cost saving in material is a huge plus. • Low handling cost - more than 95% saving in handling costs both during loading and unloading. • 100% Safety - Material is as safe as 20 feet Container itself. No chances of spilling, accidents or any other kind of wastage. We currently supply Container liners for Wheat, Coffee, Rice, Malt, Soya, Chemical, Petrochemicals, Guar Gum etc. For your reference, I have enclosed some images with this mail for your reference and to help us move this conversation one step further. 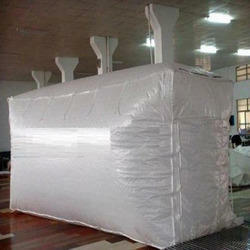 We will be more than happy to assist you with best suitable Jumbo Bag and 20 Ft Container Liner as per your requirement. Will be looking forward to hearing back from you soon in this regard. Being a customer-centered association, we are occupied with offering a far-reaching cluster of Container Bag in distinctive sizes, shapes, and plans. Offered Bulk Container Bag have immaculate plans, owing to which these are likewise utilized for pressing different mechanical items over the business. We have been able to provide the customers with a remarkable assortment of Container Liner Bag.Our technological adeptness has made us the pioneers of offering modern day Bulk Container Liner. Looking for Container Liner Bag ?